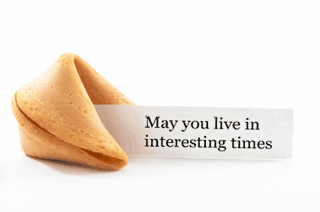 There's an old Chinese curse (note: no Chinese source has ever actually been found) that goes "may you live in interesting times." While it seems rather kind and poetic at first, the intended meaning of "interesting times" is a period of chaos, drama, and tension. There is no doubt about it: Arsenal supporters are certainly living in "interesting times" right now. Reaction to the season opening 3-1 loss to Aston Villa has been swift and overwhelmingly negative. There are those who blame referee Anthony Taylor for exacerbating an already bad situation. There are plenty screaming for Arsene Wenger's or Ivan Gazidis's head (or both.) There's just a lot of bad juju out there, ya know? Honestly, I don't know what more I can add to the thousands of words already penned on the Interwebz about the subject. As this is a preview for tonight's match, all I can do is look forward. No more talk about what happened before, no more talk about transfers; it's irrelevant to the match now. When you look at the 18 players picked to travel to Turkey, it certainly looks to me like a group that is capable of beating Fenerbahce over two legs. But "capable" is not enough; the squad was "capable" of beating Aston Villa, too. 180 minutes stand between Arsenal and the group stage. Let's hope they're less interesting times than the past week has been. is available for the trip. Hooray for stitches! In a bit of stunning news, a number of the players who left Saturday's game with injuries or were said to have knocks afterward have passed fit for this trip. That includes Kieran Gibbs (ridiculous head gash,) Aaron Ramsey (ankle), Tomas Rosicky (something? everything?,) and Bacary Sagna (bent neck.) 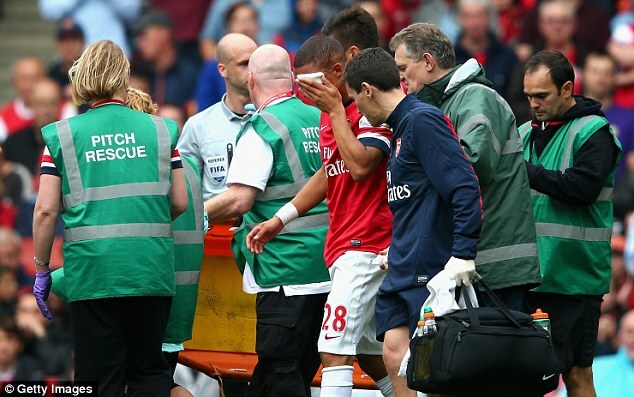 Only Alex Oxlade-Chamberlain, who is out at least six weeks with knee ligament damage, is a casualty from Saturday. Even Nacho Monreal (back) is returning sooner than expected, though I would doubt he's up to match fitness to start. All in all, that means the 18-man traveling squad is a bit stronger than we all feared it could have been at the start of the week, though that bench does look weak. Predicted XI: Szczesny, Sagna, Koscielny, Mertesacker, Gibbs, Ramsey, Wilshere, Cazorla, Podolski, Walcott, Giroud. Subs from: Fabianski, Jenkinson, Monreal, Frimpong, Rosicky, Gnabry, Sanogo. Gokhan Gonul could return after an end of season operation in May to repair injuries to his left shoulder and left crotch? What? That can't be right... Gonul also suffered a pretty brutal kick to the face during last year's Europa League semi-final against Benfica and was stretchered off, though he played two Turkish league matches after. Erten Ersu is the only sure absentee, out with a knee injury. Fenerbahce did make some moves in this off-season, because they, unlike Arsenal, are aware that you're allowed to buy players in the summer. They bought Bruno Alves from Zenit, Michal Kadlec from Bayer Leverkusen, Alper Potuk from under Galatasaray's nose, and Emmanuel Emenike for 13 million Euros from Spartak Moscow. As for Fenerbahce, they opened their Turkish league campaign with a loss this weekend, too. Their loss came on the road, however, by a 3-2 scoreline, against Konyaspor. Konyaspor, by the way, was just promoted from the second division for this season, so this loss is almost as bad as Arsenal's, if anything could be as bad as that was. Fenerbahce advanced to this round after beating Salzburg 4-2 on aggregate in the third qualifying round. Then, there's the whole match fixing scandal thing, but the tie will be decided before a decision is made, so it's best (for the sake of previews) to pretend it's not a thing. Arsenal and Fenerbahce have met in four previous matches, first in the 1979/80 Cup Winners' Cup and next in the 2008 group stage of the Champions League. Arsenal won the first leg or match on both occasions while drawing the second match 0-0. In round one of the 1979/80 Cup Winners' Cup, the two sides met at Highbury in the first leg on September 19, 1979. Alan Sunderland and Willie Young scored for Arsenal in a 2-0 victory before the sides played out a 0-0 draw in Istanbul. Arsenal went on to the final of the tournament that year before losing to Valencia on penalties just four days after losing the FA Cup Final to second tier West Ham. The sides met again in the group stage of the 2008/09 Champions League. Arsenal won the first match in Istanbul by a 5-2 scoreline: Emmanuel Adebayor and Theo Walcott put Arsenal up 2-0 within 11 minutes before a Mikael Silvestre own goal brought it back to 2-1 in the 19th. Abou Diaby and Alex Song added goals to make it 4-1 before Daniel Gulza pulled another back in the 78th. 17-year-old Aaron Ramsey completed the scoring in the 90th. That goal, Ramsey's first of his career, made him the fifth youngest scorer in Champions League history at the time. The only other time Arsenal have played a Turkish side in European competition, it was Galatasaray in the 2000 UEFA Cup Final and I don't want to talk about it. Meanwhile, Fenerbahce have a record of four wins, eight losses, and three draws against English opponents. "I got this," Rocchi says to Anthony Taylor. The match officials are from Italy; the referee is Gianluca Rocchi. Arsenal have seen Rocchi once before, in the group stage in September of 2011, when they drew 1-1 at Borussia Dortmund. Fenerbache have seen Rocchi once as well; they won that match, 1-0 over Viktoria Plzen, in last year's Europa League Round of 16. Rocchi took charge of a number of matches at the 2012 Olympics, including a group stage match between Brazil and Egypt and the semi-final between Mexico and Japan.